Alexander Joy Cartwright Jr. was a founding member of New York’s famous Knickerbocker Base Ball Club in the 1840’s and was later elected to Baseball’s Hall of Fame in 1938. Credited in the Hall with setting the bases “90 feet apart” and “establishing 9 innings” for a game, his Cooperstown plaque also calls him the “Father of Modern Baseball.” In recent years, however, Cartwright’s accomplishments have been diminished as other members of the Knickerbocker Club and members of earlier organizations have been given credit for their part in the development of the game. Still, Cartwright maintains his place as an important baseball pioneer. The only known surviving draft of the historic letter was Cartwright’s own pressed-letter copy, which was documented on onion skin paper. Onion skin copies of Cartwright’s letters were bound in several volumes and were years later donated to the State Archives by his family. Thanks to the Cartwright family’s preservation of the volumes of correspondence, the famous 1865 letter written to Charles DeBost was available to baseball historians like John Thorn, who ordered a photocopy of the letter from the Archives in the mid 1980s. As senior creative consultant to filmmaker Ken Burns for his acclaimed PBS documentary film, BASEBALL, Thorn supported the letter’s inclusion in the first “inning” of the documentary. Historians and baseball fans alike might assume such a national treasure would be safeguarded under lock and key at the Baseball Hall of Fame or the Smithsonian. 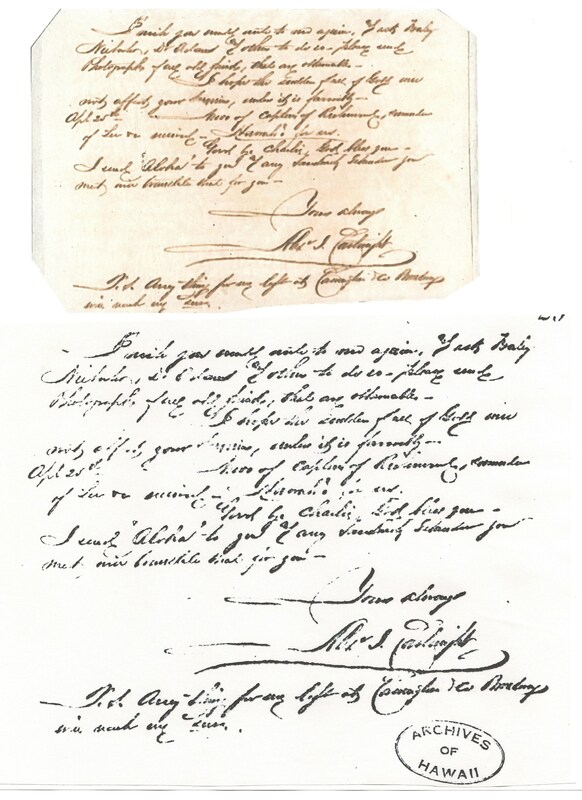 However, earlier this week it was the State Archives of Hawaii that confirmed the famous letter penned by Alexander Joy Cartwright was missing from their collection. In fact, an entry in the archive’s finding aid indicates that the letter was first discovered missing on June 2, 1998. Each volume of Cartwright letters in the archive features pages numbered in the upper right hand corner. Chief of the archives’ historical records branch, Luella Kurkjian, confirmed the theft and noted that the letter to DeBost was “removed quite expertly.” Six pages, numbered 26-31, were removed from the letter press volume in the archive, including the three page DeBost letter. Kurkjian indicated that the apparent theft was something that might fall under the jurisdiction of Hawaii’s Attorney General. Further investigation into the theft reveals that the same letter has been sold several times in the past fifteen years by major auction houses Lelands, Sotheby’s and Robert Edward Auctions. When Sotheby’s sold it in 1999 it was part of a lot featured as one of the most important items in the Barry Halper Collection. The letter was paired with a baseball alleged to be the very ball Cartwright described in his 1865 letter- the one the Knickerbockers used in their first match in 1846. At the time of the Sotheby’s sale many in the industry questioned the authenticity of the ball, which was a recent “discovery” by a member of the Cartwright family. Cartwright family tradition and an article by Harold Peterson in Sports Illustrated in 1969 revealed that the ball was nowhere to be found for nearly a half century and that Cartwright’s granddaughter, Mary Check, once stated that her father, Alexander Cartwright III, “remembered having cut up a baseball when he was a child.” Check added that, “Years afterward, he often thought that that might have been the Knickerbocker ball, the original ball.” Reports in Honolulu’s Sunday Advertiser as far back as 1910 indicated that the family could not locate the famous ball. Finally, in his 1973 book, The Man Who Invented Baseball, Harold Peterson quoted Cartwright’s grandson, Bill, as stating that his father had once seen the ball but that, “The family lived in a hotel for a time, and the ball was definitely lost.” Despite the questions about the authenticity of the ball, Sotheby’s lot 149, which included Cartwright’s 1865 letter to DeBost, sold for $129,000. The ball and letter were sold again two years later in 2001 by Robert Edward Auctions, realizing a sale price of only $74,917. 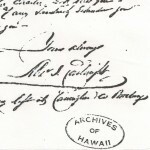 (Left) The Cartwright letter as it appeared in the 1980s at the State Archives of Hawaii. (Right) The Letter as it appeared at auction in the 1990s with State of Hawaii Archive page numbers clipped off. New York auction house Lelands handled the first public sale of the famous letter back in 1995. 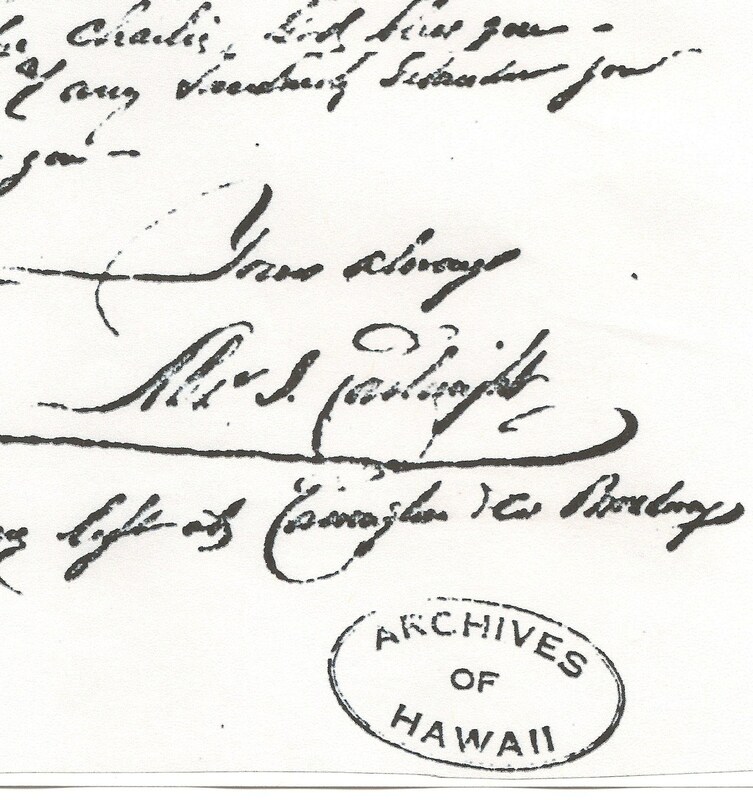 Lelands then described the letter as, “Easily the most important letter that exists in the sports collecting hobby today.” The catalogue description also claimed that the document was “deacquisitioned by the Cartwright Family in the 1990’s.” The State Archives of Hawaii, however, shows no record of the letter being de-accessioned. 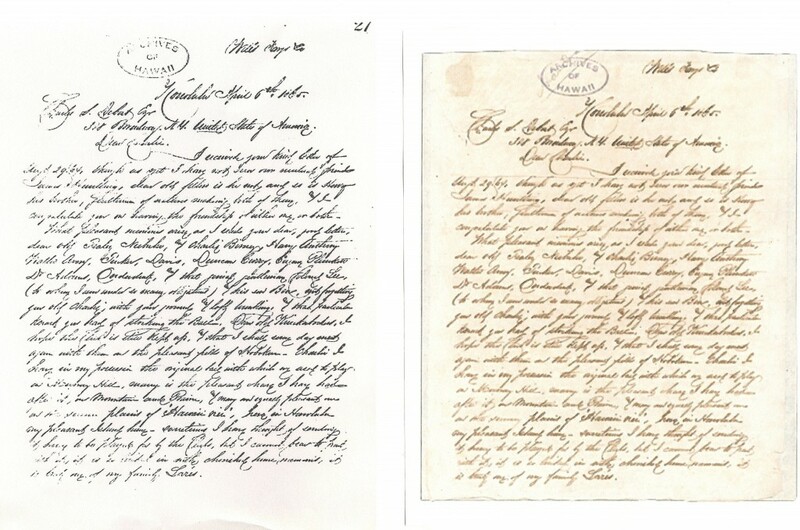 In fact, the letter offered at auction was clearly vandalized with the corners cut to remove page numbers and additional sections cut from the third page to remove the “Archive of Hawaii” ownership stamp (see illustration). The most recent correspondence the Hawaii Archives has with the Cartwright family dates back to 1969. How the letter came to be described as de-accessioned by the State Archives of Hawaii will likely be the focus of any probe into the missing document. An investigation will likely reveal how the rare and valuable letter made its way into the private hands of high-end baseball memorabilia collectors like Barry Halper. Sotheby’s 1999 auction of the Barry Halper Collection included the sales of numerous items confirmed stolen from the New York Public Library, Boston Public Library and the National Baseball Hall of Fame. The thefts from the New York Public Library are presently the focus of an on-going FBI investigation. Significant artifacts stolen from NYPL’s Spalding Collection include the actual score sheets used by Cartwright and the Knickerbockers for their first match played on June 19, 1846. Like the documents removed from the Archives of Hawaii, the Knick score sheets were expertly cut from a bound volume. Sources indicate that an investigation into the theft of the 1865 letter may reveal that additional items were wrongfully removed from the Archives of Hawaii. The Sotheby’s sale of the Halper Collection also featured another lot that included “Fifty-nine ‘Letterpress’ Letters from the Archives of Alexander Cartwright.” It remains to be seen if those documents sold by Barry Halper were also the property of the Archives of Hawaii. Where’s the text of the letter? The full text of the DeBost Letter from Cartwright appears on pp78-80 in Monica Nucciarone’s excellent Cartwright biography: Alexander Cartwright: The Life Behind The Baseball Legend. You can access the text of the letter in her biography on Google Books. I think that you need to publish more on this issue, it may not be a taboo subject but generally folks don’t talk about these topics. To the next! Best wishes!! I’ve just now stumbled upon all of your allegations concerning Barry Halper and Rob Lifson. I always wondered why the Baseball Hall of Fame did not purchase the Cartwright baseball before the Halper auction and then was surprised that it only sold for $129,000. I recall seeing it being listed for sale in SCD after that for around $250,000 or so if I’m not mistaken. I could be off on that. I was then surprised to see it turn up in a REA auction. I’m pretty sure that the auction took place much later than 2001 as I was the under bidder on it. I cannot remember the exact date but I might still have the catalog somewhere. In any event, I was even more shocked that it only sold for about $75,000 but now it’s starting to make sense as to why. I cannot tell you how happy I am that I dodged that bullet. I did end up buying a few items in the Halper auction: A 1964 Willie Horton rookie year road jersey, a 1968 Mickey Lolich home jersey and an 1887 Detroit Wolverines World Series program with the only known ticket stub glued to the edge of the program. And information as to the authenticity of these items? It seems that most of your allegations concern 19th century uniforms and some stolen documents. I haven’t seen any other articles by anyone else on these matters except for one by the NY Post and then one by Murray Chass blasting that article. I must say that your allegations are certainly compelling yet some of your sources sound a bit sketchy. I’ve also been reading a bit about your “war” with Rob Lifson. It does make it sound like a he said, he said situation. Is there any other independent corroboration of your allegations? Any new information coming out about any other bogus items from the Halper auction or REA?